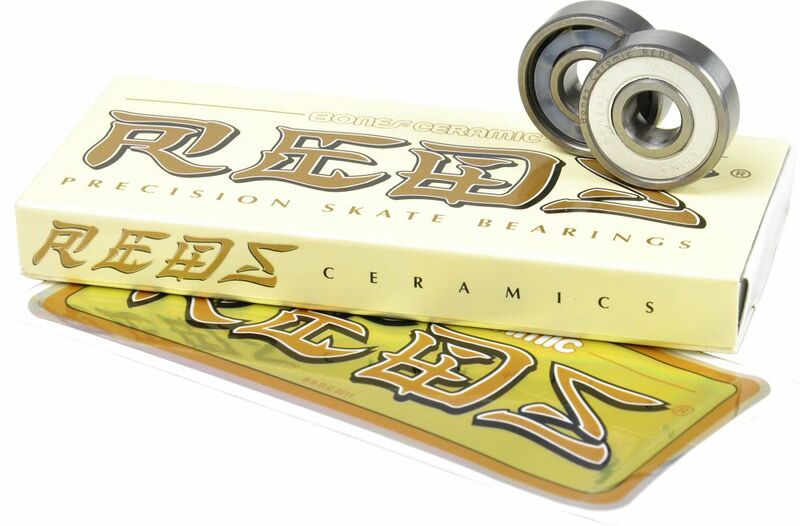 These ceramic bearings is a special edition of the esteemed and durable Bones Reds bearings. 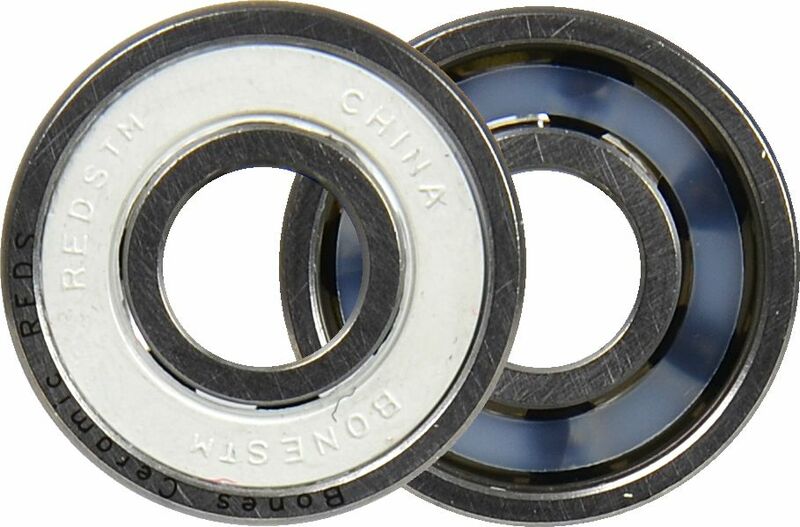 The bearings are lighter and stronger due to the ceramic balls, which extends the life of the bearing. The ceramic balls do not rust, and it will typically crush any sand that comes into contact with the bearing. You should still avoid sand and water as it always will shorten bearing life significantly, especially if you do not clean the bed afterwards. In addition, you should be aware that the metal ring around the bearing of course still rust. Features grade 5, silicon nitride, hot isostatically pressed ceramic balls. Pre-lubricated with Speed ​​Cream ™ racing lubricant. Skate Rated ™ clearances, tolerances, materials and lubricant Provider the best performance and durability possible.